Backpack or bike bag? Both! This rear pannier Cycle 22 Bag comes in a classic look and is made from a combination of lightweight and durable materials certified in accordance with the strict bluesign environmental standard. 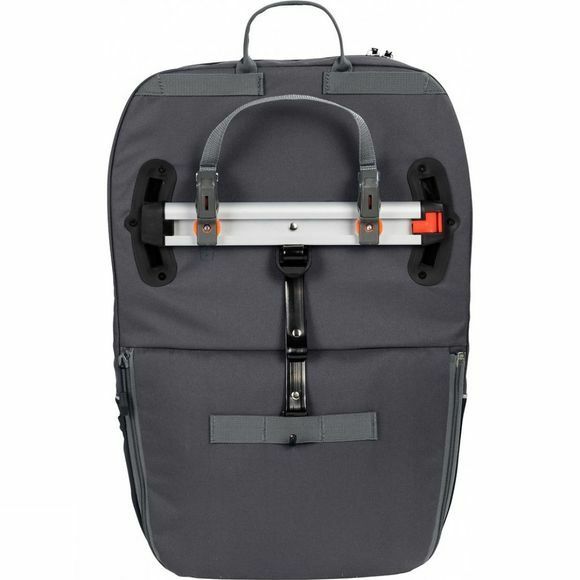 This quick change artist is ideal for urban or office needs and can be worn as a backpack or mounted onto your bike rack. 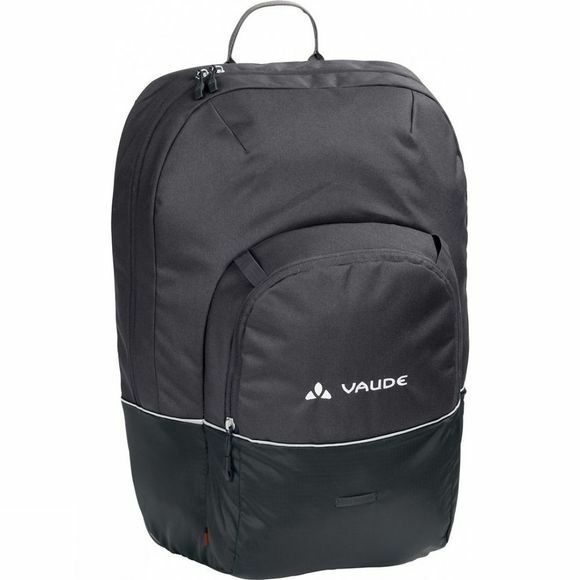 To transform the bag, just unzip the back of the bag and fold the back panel upwards to reveal two padded shoulder straps that can be used for more comfortable transporting. A large opening lets you easily store your folders, and the separate compartment keeps your laptop safely encapsuled. Reflective stripes all around ensure high visibility in traffic and low light conditions. Comes with raincover.